The health of an individual is determined by the interaction of genetic and individual factors with wider social and environmental elements. Public health approaches to improving the health of disadvantaged populations will be most effective if they optimise influences at each of these levels, particularly in the early part of the life course. In order to better ascertain the relative contribution of these multi-level determinants there is a need for robust studies, longitudinal and prospective in nature, that examine individual, familial, social and environmental exposures. This paper describes the study background and methods, as it has been implemented in an Australian birth cohort study, Environments for Healthy Living (EFHL): The Griffith Study of Population Health. 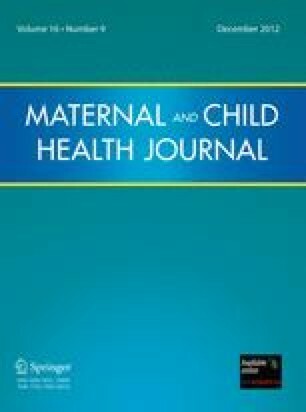 EFHL is a prospective, multi-level, multi-year longitudinal birth cohort study, designed to collect information from before birth through to adulthood across a spectrum of eco-epidemiological factors, including genetic material from cord-blood samples at birth, individual and familial factors, to spatial data on the living environment. EFHL commenced the pilot phase of recruitment in 2006 and open recruitment in 2007, with a target sample size of 4000 mother/infant dyads. Detailed information on each participant is obtained at birth, 12-months, 3-years, 5-years and subsequent three to five yearly intervals. The findings of this research will provide detailed evidence on the relative contribution of multi-level determinants of health, which can be used to inform social policy and intervention strategies that will facilitate healthy behaviours and choices across sub-populations. The research reported in this publication is part of the Griffith Study of Population Health: Environments for Healthy Living (EFHL) (Australian and New Zealand Clinical Trials Registry: ACTRN12610000931077). Core funding to support EFHL is provided by Griffith University. We are thankful for the crucial contributions of the Project Manager Rani Scott and the current and past Database Managers. We gratefully acknowledge the administrative staff, research staff, hospital antenatal and birth suite midwives of the participating hospitals for their valuable contributions to the study. Expert advice has been provided by Associate Investigators throughout the project. Dr Cameron was supported by a Public Health Fellowship (ID 428254) from the National Health and Medical Research Council (NHMRC) Australia and Professor Scuffham was supported by a Career Development Award (ID 401742) also from the NHMRC. Laflamme, L., Hasselberg, M., & Burrows, S. (2010). 20 years of research on socioeconomic inequality and children’s-unintentional injuries understanding the cause-specific evidence at hand. International Journal of Pediatrics, 2010. doi: 10.1155/2010/819687.